engine, cooling is required. The coolant absorbs the heat from the engine block and cylinder head and releases it into the ambient air through the radiator. A pump is required for transporting the cooling liquid. 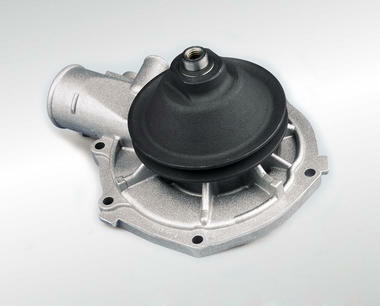 This water pump – also known as "coolant pump" – circulates the cooling liquid around a closed circuit. 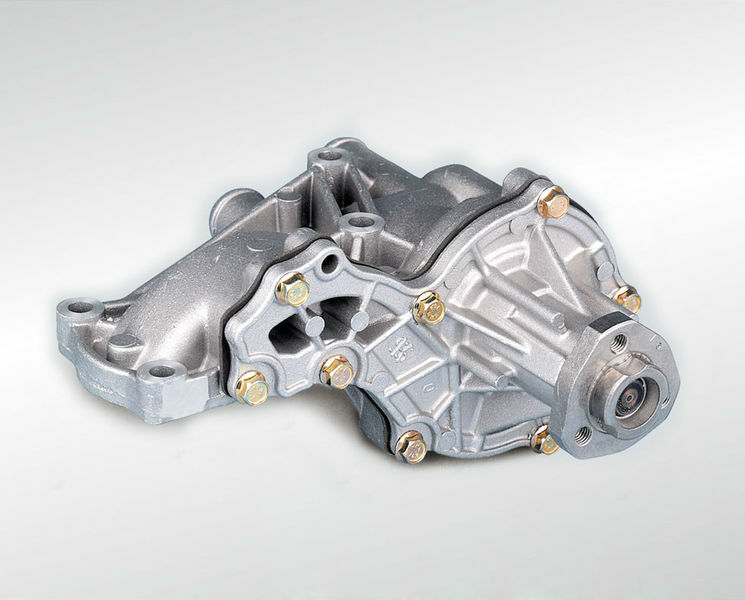 Mechanical water pumps are located either externally in their own pump housing or are flanged directly on the crankcase depending on the design. They are usually driven directly by the engine. A mixture of water, glycol and different additives is used as cooling liquid. The thermostat controls the coolant circuit depending on the temperature of the cooling liquid. When the engine is cold, the thermostat remains closed so that the operating temperature is reached as quickly as possible in a small coolant circuit. Only when a specific temperature is reached does the thermostat connect the large coolant circuit via the radiator. 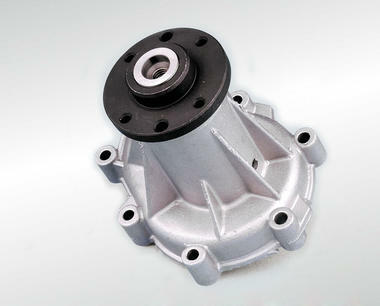 Water pumps are typical wear parts, which must sometimes be replaced several times during the service life of an engine. In the event of engine reconditioning, the water pump should always be replaced to safeguard operational safety. With water pump malfunction the engine overheats, which can result in serious engine damage. Water pumps are attached to the outside of the engine block and can be replaced without having to open the engine. Water pumps may be of open or closed design. 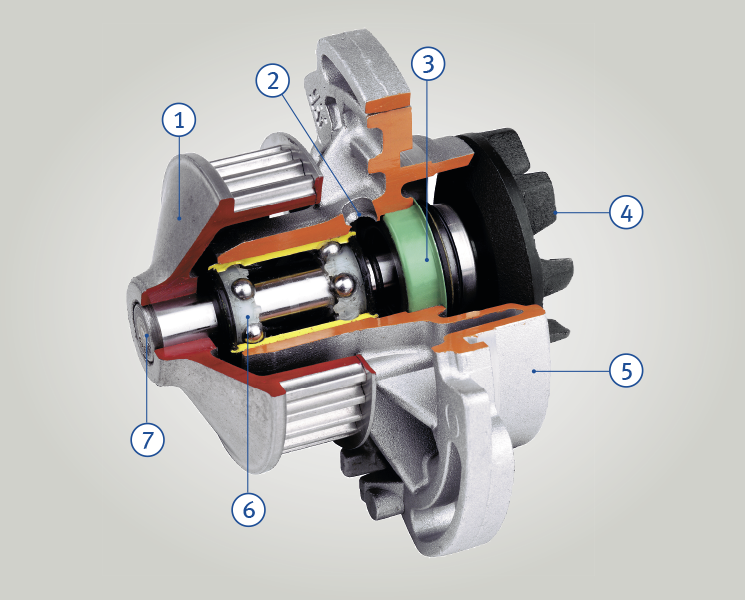 In the case of open pumps, the engine possesses a flangemounting face to which the pump is fas tened and sealed by means of a sealing ring or a flat gasket. The mating piece of the pump housing is part of the engine. Closed pumps in contrast constitute a complete as sembly. 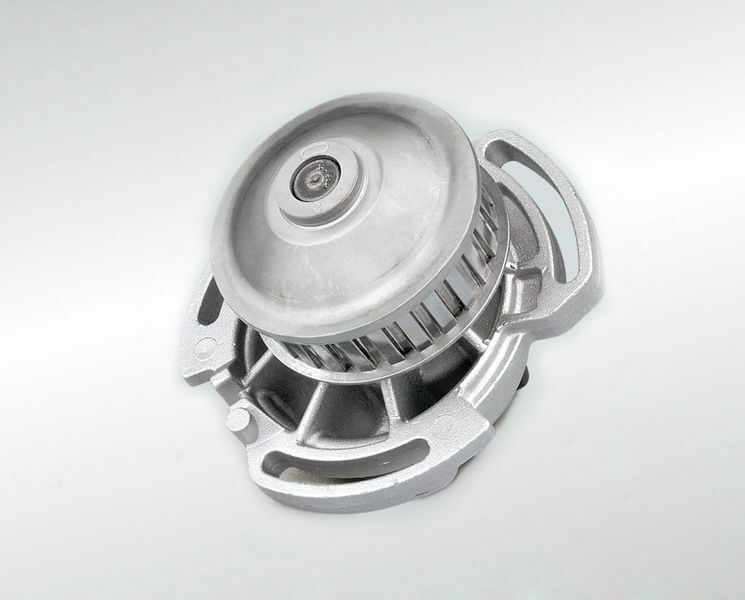 Various types of closed and open pump impellers are used in the mechanical water pumps. The latest calculation methods and flow simulation tools are used to optimise the pump impellers in terms of the hydraulic requirements, the pump efficiency and the geometry, taking into account the manufacturing process. The housing is produced from aluminium or grey cast iron. Various attachments are fitted to the pump housing, such as brackets for hoses, thermostats, plugs, etc. The sliding ring seal is responsible for ensuring tightness between the housing and the bearing shaft. The quality of the sliding ring seal has a significant influence on the durability of the water pump. The leakage hole is used for discharging small quantities of cooling liquid that enters through the scraper ring seal for lubrication and sealing. 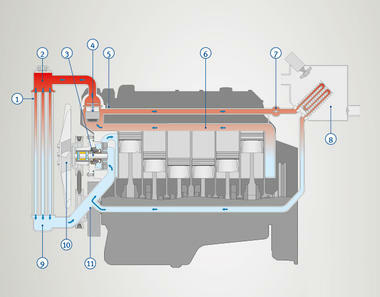 The water pumps are driven via V-belts, poly-rib V-belts or gears depending on the installation location on the engine. This is achieved either via the toothed belt of the camshaft control system, or via the V-belt or ribbed V-belt of the crankshaft. 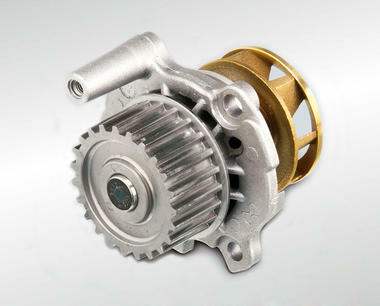 Mechanical water pumps for utility vehicles are driven by the crankshaft via V-belts, poly-rib V-belt or gears. If the pulley is not already part of the pump, it must be screwed to the flange of the drive shaft.